In 2012, AMeBA started in Maine with just four members meeting to discuss the ethical responsibility for Board Certified Behavior Analysts (BCBAs) to have an ABA association in Maine. 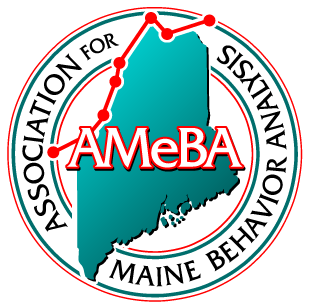 We became incorporated in 2014 as Association for Maine Behavior Analysis (AMeBA), and have grown to over one hundred members. In 2014, we held our first conference, and have since provided professional development and continuing education opportunities to our members annually each spring. We have worked hard over the last several years, meeting regularly to discuss current issues in our state regarding our profession (including licensure and billing). We have been seeking guidance from other well-established groups such as the Association for Behavior Analysis International (ABAI) and Association of Professional Behavior Analysts (APBA). This year we are looking to further grow our memberships, finalize our federal non-profit status, and host our fifth conference in 2019!